Are you tired of your usual girly, feminine, womanly outfits? 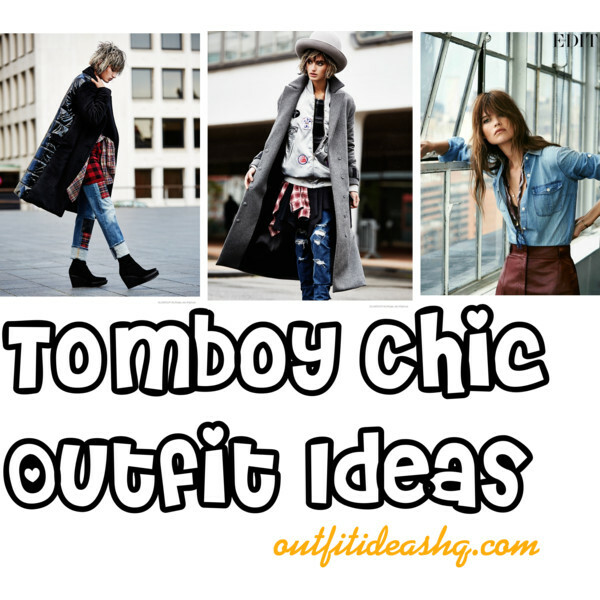 Well it’s time to revamp your style and go tomboy chic with these super cool outfit ideas. Pull off the tomboy style without looking like a guy. Don’t be afraid, it’s totally cool to borrow from the boys. Kristen Stewart and Cara Delevingne have started dressing this style ever since they rose to fame. To pull off this style, you should combine your girly attitude with the borrowed-style-from-the-boys, which could also look like a model off-duty outfit. Swap your ballet flats and sandals with loafers or trainers. 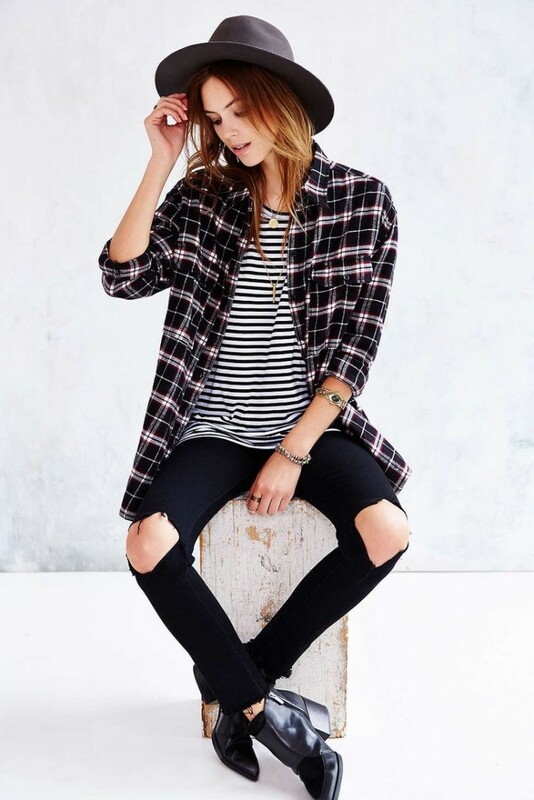 Steal your boyfriend’s flannel shirt and then pair it with a striped tee, your ripped-knee jeans and leather ankle boots. Go MOD with a white button down shirt with leather shorts and combat boots. Knot a silk scarf. It’s a fun new way to update on the regular necklace. Layering will never go out of style. Try to layer your tops with denim shorts and cool-looking loafers. It’s the ultimate casual-dressy weekend look. 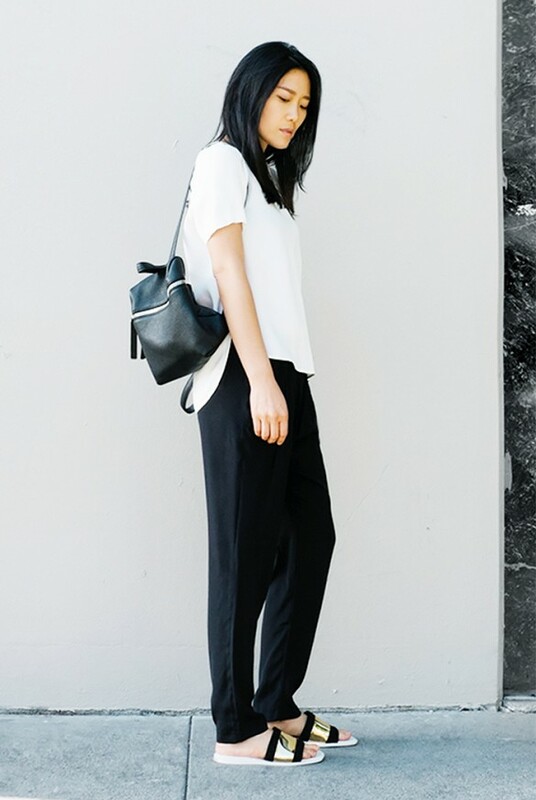 Normcore look that includes the basic black and white outfit then paired with metallic sliders and a backpack. Go for an off-white separates then add a statement loafers and brown monks for a smart-casual MOD look. Team your matching velvet blazer and trousers with a crisp white button down shirt and stilettos and a clutch bag. Mix and match different patterns and textures like a brown shirt over a chunky cardigan with chevron-print trousers and two-toned coat. Don’t forget to add chic accessories like clogs, big sunglasses and a floppy hat. Go dressy yet casual with leather pants and a varsity jacket. For the shoes, opt for combat boots for a complete boyish look.